Note: This post was written in 2017, my Bullet journal has evolved considerably since then, this post contains loads of practical ideas, so please continue reading, but do visit this post to see an overview of my 2018 layouts for more inspiration. The beauty of bullet journaling is that your journal is personalised to your needs. Your layouts can change and adapt to your life on a daily or weekly basis as your circumstances require it! It is a very flexible system and eliminates the need for multiple journals. Everything is taken care of in one place. Generally there are 2 different types of bullet journaling people; I'd categorise them as the minimalists and the artistic. My bujo is probably on the minimalist side of things. I don't do elaborate artistic works in mine, it's more about the lists and trackers for me, but some people use them as a creative outlet too, this can be very relaxing. As mentioned above, the bullet journal is so flexible, that you can create the pages you need and ignore the ones that don't serve you. They eliminate the need of multiple journals as you can include anything in your bujo and use the indexing system to help you easily find any lists, trackers and collections that you have created. You can find out more about the bullet journal system and the guy who came up with it here. How Can A BuJo Help Me? Keeping on top of things this way is extremely helpful to me because my ME/CFS causes incredible cognitive difficulties and I have trouble remembering what I'm doing - even while I'm doing it. I certainly don't remember things that need to be done or things that have passed. I do however also forget to use the journal sometimes, not sure how to get around that other than carrying it around with me at all times so I see it and doing my best to form a habit of using it. Making it look pretty also helps, who doesn't like looking at pretty things? For the chronically ill, a journal like this can be very useful. Having a record of activities and symptoms is helpful for therapy or doctors visits and to look back over and see if there are any behavioural patterns that need addressing. Like a tendency to overdoing things or identifying a cause for onset of certain symptoms or flares. Having a record of meals and related allergic reactions can help to identify triggers to avoid in the future. When I was still on a lot of pain medication and supplements, I also had a tracker set up for keeping track of that. Having a plan for each day, whether my body will be able to actually accomplish those tasks or not, is so beneficial because I go to bed knowing what I want to do tomorrow. I go to sleep excited about the day ahead. This way I wake up with a plan, if my body is up for it, I can get started and make the most of my good days. Without a plan, I tend to just float through the day, scrolling through social media, watching Netflix and end up not really doing anything I feel good about at the end of the day. Not doing anything I'm passionate about, nothing that brings me joy. I prefer to prepare activities the night before, then if I can't manage them the next day, they get forwarded until I can do them, or cancelled if they weren't important tasks. And that's okay! Allowing yourself time to rest and leave things unchecked in the journal is important too. Just because it's written, doesn't mean it must be done in spite of your well-being. regular rest periods: giving your body time to recover and repair after exertion of any kind. something you enjoy: this is vital when you are stuck indoors alone all day, make time for your joy! quiet time: this is time for reflection, prayer, meditation - quiet, alone time to restore calm and peace. These things might seem like wasting time or luxuries you don't have time for, but when struggling with chronic illness, it is vital to take time out regularly. You cannot pour from an empty cup. So once again I have changed my bullet journal layout as I found some things just weren't working as well as they could. I quite like this new layout and might stick with it for a while. I've also reintroduced my colour coding system from last year and streamlined my daily layout. I have been creating a cover page each month, and this is usually a bit arty, but then the rest is very functional and streamline. You can see my "plan ahead" monthly overview on the right. This is just a place to note any upcoming events, tasks or appointments and will be referred to throughout the month whenever I create a new weekly spread. For the more creative journal, people often choose a theme for the month and carry that theme through all the pages for that month. The theme would dictate the colour scheme and subsequent highlighting and decorations on each page for that month. I tried this method initially when I returned to bullet journaling earlier this year, but have decided that I prefer a colour coded method instead. You will see that different pages, although part of the same month, will have different colours. This is because I have assigned colours to certain elements of my life. Anything to do with social media is yellow, personal care is pink, activities are purple, chores are red, meal planning or notes regarding allergies etc are green, and my weekly or daily pages are blue/teal. This is actually the colour code I used last year when I first started bullet journaling. I had a very minimalist journal back then, only used one black pen and no decorations, but I had post-it tabs to mark the current location of my trackers and lists, so the colour coding was very useful and makes sense to me. It also means that now my pages for the month are not all the exact same colour, which was actually getting a bit boring. This is my activities spread. On the left is my purple activities tracker, it includes activities I'd like to do each day. Obviously I cannot do all of that in one day, but when I feel good enough to do something or have an "I'm bored" moment, this is the page I come to find things I could do. The list is in order of importance, starting with things I'd like to do daily first thing in the morning. Things like reading my Bible and praying. After that I have my creative things like painting, drawing, lettering. After that I have listed the digital items like watching tutorials, blogging, etc. And lastly I have other fun activities like TV, puzzles and games, outings and helping my sister cook a meal - yes, that is super fun for me, but I can't manage it often. On the right I have the pink area for self care, this is where I keep track of when I bath, cut my nails, any beauty treatments and other personal care activities I want to keep track of. Below that is the red chore tracker. I cannot do much around the house, and many of these chores are done by others, but I keep track of them here so make sure they are regularly done due to my allergies. These are mainly things that need doing in my bedroom, like changing sheets, hoovering, dusting shelves, etc and at the bottom I have added watering plants because that is something I can do. The tracker is simply a calendar and I colour the squares in with the appropriate colour if it's been done, it is left blank if I didn't do it. This is a very quick visual way of tracking things and they're all on one spread which makes it much easier to see how much activity I've done over all categories. This is my yellow social media log, I just keep track of what I've published on the blog and a couple of times a month I log my instagram stats. I am not very good at consistently posting things, so I'm hoping this will help me keep track of progress and hopefully over time I will be able to fill this tracker in more. For now it serves as an encouragement. The apricot art log is filled in pencil ahead of time with ideas of things I'd like to do, but as my ME/CFS is unpredictable, I cannot always do them. Now I only pen them in once I've done them. I do find having the pencil plan quite useful though, it saves me wondering what to draw or paint. There's lots of inspiration on the page! This is my teal weekly spread, the day to day notes and to-do lists and also the place I track a few things like weather, symptoms, feelings, water intake and steps I've walked that day. This is the spread that has gone through the most change over the last few months. My weeks start on whichever day was the first day of the month, so this month it was a Friday. I then have Monday and Tuesdays together because that's my family's weekend due to work schedules. Since those days are reserved for family time, they are grouped together and don't usually have anything planned on those days. You will notice that under each day there is a block. It contains the date, a weather doodle, my water tracker (six circles I colour in), my step counter which I fill in at the end of the day when I get into bed, and lastly there is my mood/symptom tracker. My mood/symptom tracker is no longer a written paragraph of how I was feeling and detailing all my ailments, I found that exhausting and quite a negative process. I now have three circles on the right, representing my body, one for morning, one for midday and one for bed time. These are the times I take note of moods or symptoms. I draw faces on the circles to depict my mood and have a series of symbols I draw around the circles for various symptoms, only keeping track of the most debilitating ones: pain, stiffness, itching, exhaustion/weakness and bad brain fog/confusion. The symbols are things like a lightening bolt for pain, dots for itching, a spiral for cognitive difficulties, a Z for exhaustion, etc. This way it only takes a few seconds to draw these tiny symbols and I can move on with my day. If you had a look at my July setup, you will have seen things like a reading log and menu planner. I have decided not to track my reading as it is already in my purple activity tracker and my meals are now planned on a separate sheet from an old planner which is then torn out and stuck on the fridge where my sister can see it since she is the one who cooks all our meals. I found it redundant to have it in my journal too. My advice would be to start simple and build up from there once you're comfortable and start to figure out what it is you want to do in your journal. I can guarantee that the way you start out will not be the way you end this year. Your journal will change and grow just like you do, so don't be too concerned with extras for now, if you have a notebook and pen, then you're ready to go! Below are some ideas and tips regarding popular supplies and links to the items I use in my journal. You don’t need anything extravagant to start bullet journaling. I am currently using a hardcover, lined notebook from Poundland. You can browse Amazon to see a wide variety of journals available. Depending on your needs, you will need to look at page quality if you’re planning to use markers or fountain pens and decide whether you prefer dotted, lined or plain pages. A great way to figure this out is to read the customer reviews for each item. This is the journal I have my eye on for when I finish my current notebook. I’d say stick with what you love. Journaling should be an enjoyable experience. It should help streamline your life, not make things more complicated. If it’s stressing you out, then you’re doing it wrong! So choose pens that you love writing with, else you’ll just be frustrated. Some popular writing pens are the Muji gel pens, they write very smoothly and don’t bleed, I love mine. If on the other hand you’re looking for drawing pens or fineliners, then the Sakura Pigma Micron pens or the Uniball Unipins are the most popular, I love both and they also don’t bleed. They’re waterproof and fade proof, so can be painted over and won’t fade over time like some other inks do. For colour the journaling world seems to be in love with the Mildliners and the Tombow Dual Brush pens. I don’t have any Mildliners yet, but the Tombows work well, the don’t bleed through my thin journal pages which is great. Of course if you’re not very creative, but would like some colour in your journal, you can always make use of the huge variety of stickers and washi tape available. It makes adding colour so much easier, saving you time. Some other supplies you might want to get if you want to create trackers that require straight lines: ruler, pencil and eraser. I hope this post has made sense of the bullet journal and how it can be beneficial to people with chronic illness. I have found it to be a huge help, particularly because of memory issues. I take it with me to appointments and have all the answers to all the questions written in there even if I’ve forgotten. Please let me know in the comments if you have any questions or if you have found this post helpful. I just found your blog and am anxious to explore it! I am most likely going to be diagnosed with ME/CFS in addition to having fibromyalgia and long term chronic back pain. I’m looking for a way to keep track of my life and the bullet journal looks really good, but complicated. I’m still going to try. I’ll start simple like you did. I don’t work as I’m too sick and am alone weekdays as my husband works full time, though I do have four delightful bad cats that keep me entertained. Hi Lindy, happy you stopped by! Sorry to hear of your health struggles. The bullet journal really does make things easier. It can make things very complicated, but then you’re doing it wrong, like I did initially, but it needs to work for you. And that’s what’s great about it, completely flexible and modifiable. I hope to create very simple “how to” posts soon. My new journal is still on its way, running a tad late this year! I’m not allowed pets here where I live, I have to be content with my fluffy hot water bunny instead. Lol… Your cats sound like fun! Great tips.. I would love to start a bullet journal but get sooo overwhelmed.. I also forget, even though it’s right there!!! It is easy to forget. But I have found that if I make it pretty then I look at it more and that way I forget things less! I also keep it open next to me at all times so it catches my eye throughout the day. I also have a vibration alarm on my wrist watch/activity tracker every hour, so then I know its time to switch activity and look at the journal. Thank you so much for this. Is nice to see a spoonie doing a bullet journal. Someof the things you mentioned i never thought to track. ? Glad you enjoyed it. Its such a versatile method, isn’t it? Amazing spreads. 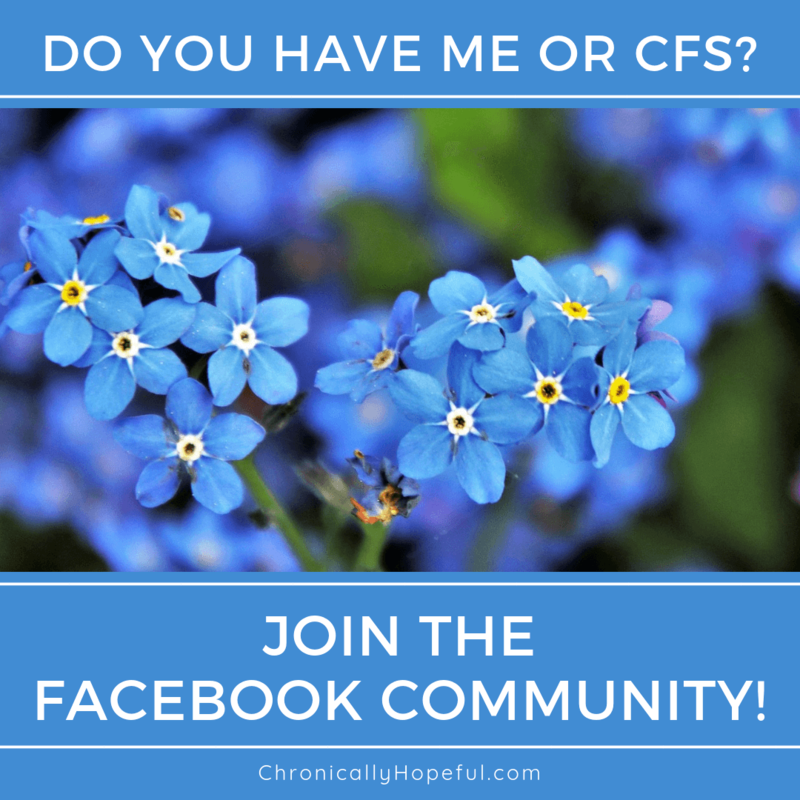 I’m a planner junkie and was diagnosed with CFS 3 years ago but only am now trying to track it. You have given me great ideas and I love the reminder that we need to schedule rest and enjoyment, not just responsibilities. My planner sometimes overwhelms me when it’s all about the stuff I cant do sometimes. I’m doing better at lowering my expectations and accepting that it is ok to not be super woman, but I need to work on refilling my cup. I’m glad you have found some of these ideas useful. It’s so easy to focus on what has to be done that we often forget about nurturing our own well being too. I hope your journal will help you to create a more balanced routine. And letting go of the things we cannot complete is vital in this journey too.